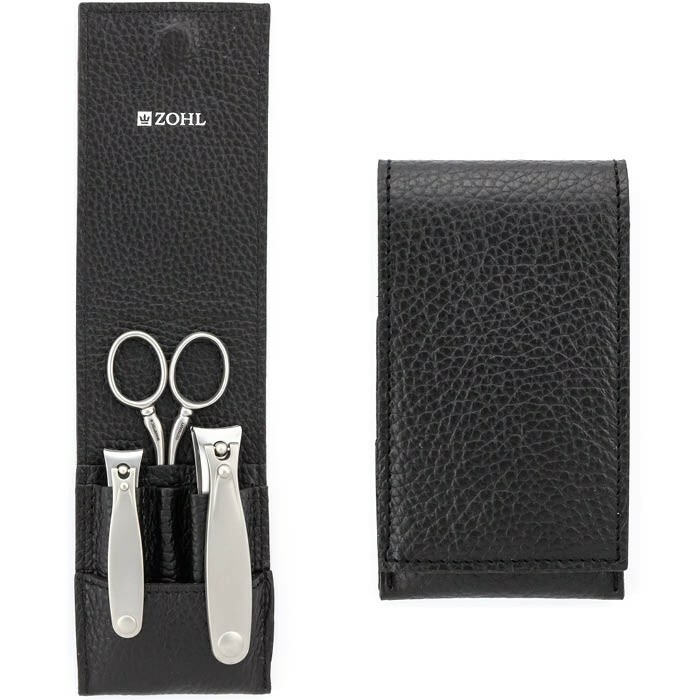 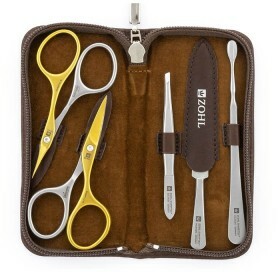 ZOHL Mens Grooming Set Magneto is a high quality Solingen travel kit made for a frequent voyager who values premium function, comfortable design and lasting performance. 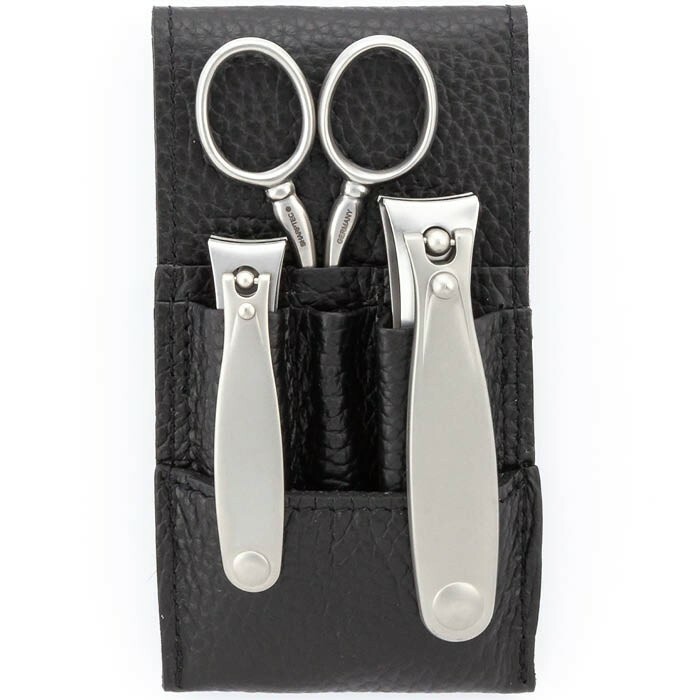 Expertly crafted in the German city of Solingen from strong surgical steel, it comes with 3 high quality mens grooming tools SHARPtec: the best Solingen nail clippers for finger- and toenails, and ear & nose hair scissors. 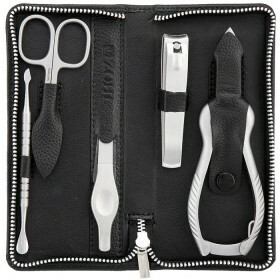 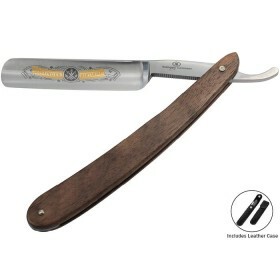 Manually honed blades and professional stainless steel ensure the cutting edge stays sharp through many decades of use. 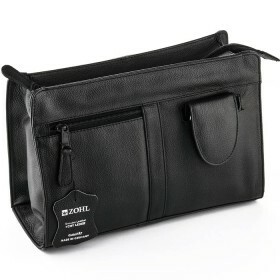 Handsome presentation in the compact and lightweight black leather case with a magnetic closure makes it the best grooming kit for a man who wants to look his best whilst on travels. 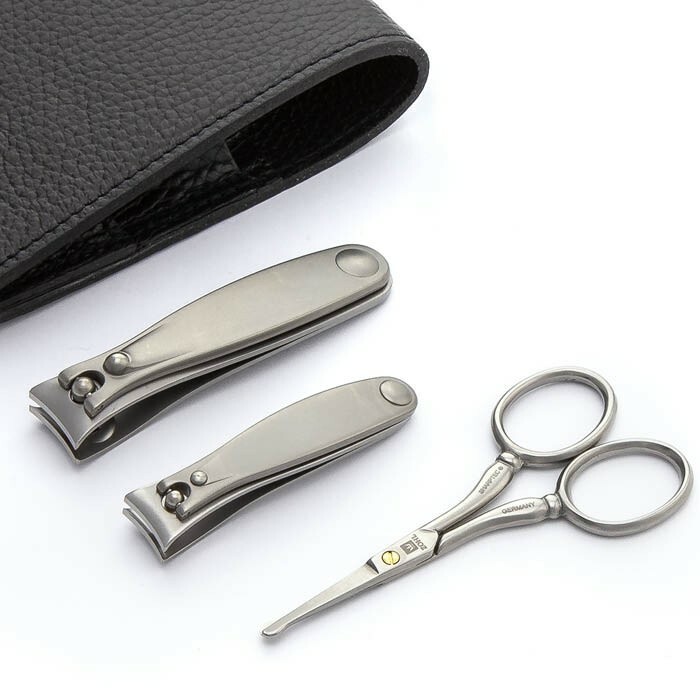 Luxury mens grooming set Magneto with 3 premium stainless steel tools provides an easy way to look after your nails and facial hair during a business trip or a weekend away. 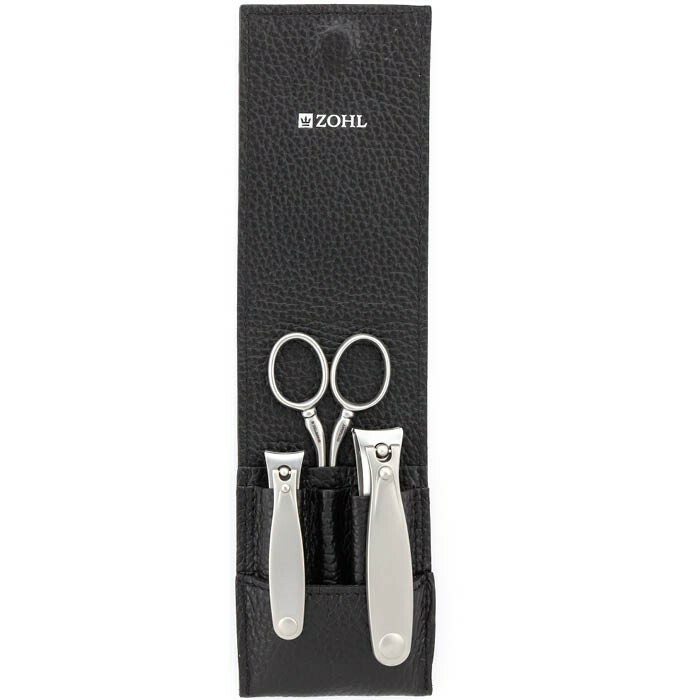 Expertly crafted in Germany, the SHARPtec instruments by ZOHL boast exceptional sharpness of the blades and excellent trimming ability. 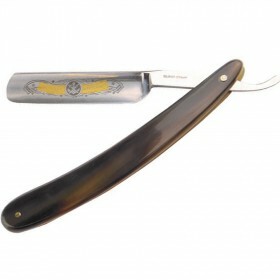 This is possible thanks to special forging of the steel which results in a very strong material able to keep the cutting edge sharp through many years of use without any need for sharpening. 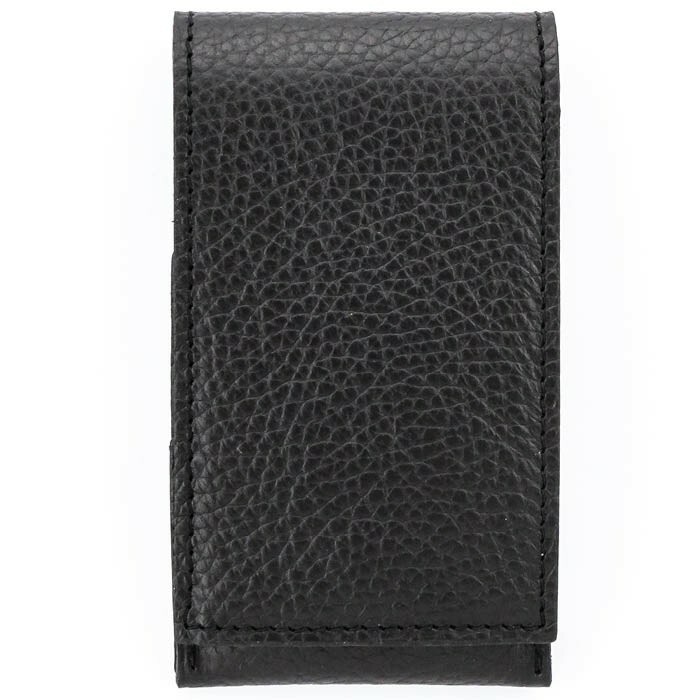 Magnetic leather case secures the instruments in individual pockets and protects the blades from dirt and damage, when on the move. 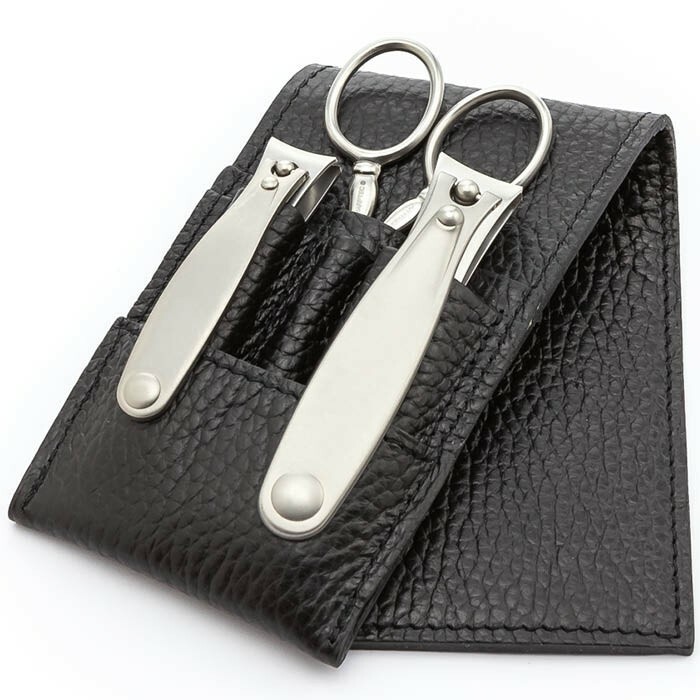 Luxury pebble cowhide on the case exterior and interior adds a masculine character, making it the best travel kit for a man who trusts his look only to the best grooming tools. 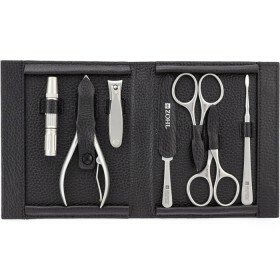 1 x Fingernail Clippers (6cm) and 1 x Toenail Clippers (8cm) with precision grinding of the blades for a smooth and clean cut. 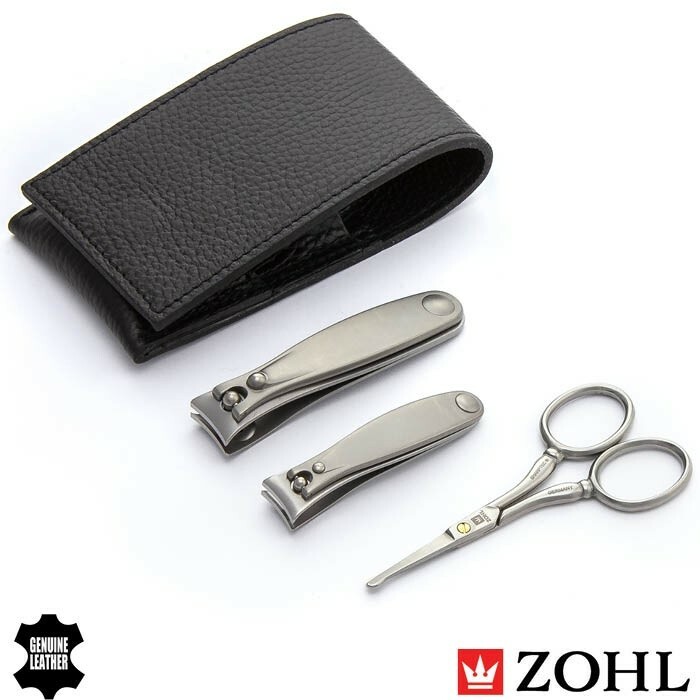 Keep your nails and facial hair in tip top shape with the Magneto travel grooming kit that will give you long and reliable service through all your trips.